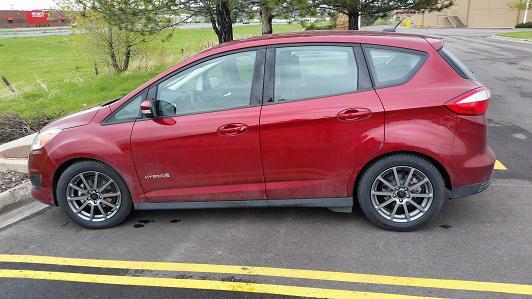 Has anyone put different wheels on their C-Max? My wife wants chrome wheels, possibility Focus Titanium. I've got a set of Taurus wheels for my snow tires. I know there are some posts on this forum about this. I remember someone looking at Focus wheels too. I used Plasti-Dip on my wheels and made them black. I know of at least a few others that has done this. the first weekend in June to see lots more. Here is my solution for now. DIYS LEXAN Wheel Covers. 1/8" Covers don't stick out as far as tires and I have 1/8" foam insulation tape under LEXAN to seal the wheel. Easy to take off and on. Also have 1/4" plastic screw going through Cover and sticking out 1 1/4" on inside to make sure Cover doesn't spin and unscrew. BTW I noticed your signature has GPS distance. I wouldn't go with GPS distance due to the lack of precision with GPS tracklogs. Without WAAS you're getting maybe 10 feet precision, so you could drive in a perfectly straight line but have deviations in the track points, creating a crooked tracklog. The distance of a crooked line is greater than the straight line, so end up with an innacurate distance and MPG calculation. I think we have some confusion here, I believe you are referring to wheel well cover which may not be perfectly parallel with the ground, but close enough. BTW I did bevel the edges to improve aero. Yesterday I went 140 mi. on I-85, I-285 and GA400 to Alpharetta and back. 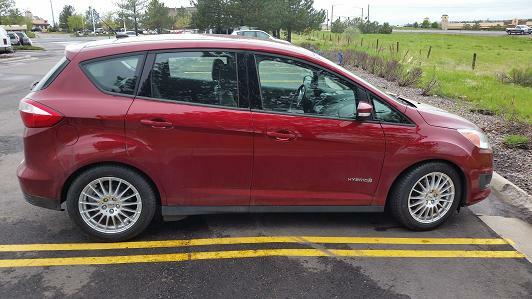 I averaged about 53 mpg for the trip and 54.1mpg/750mi. on tank. My first tank with no mods I got 47mpg so it would look like I've gained 7mpg with all my mods. Concerning GPS distance I checked a pretty straight section of I-40 for 400 mi. odometer and GPS gave 408.8 miles or 1.022%. When tread is worn down I have seen as low as 1.014% off, always more miles than odometer. Given your example the GPS value should be smaller than odometer I would think. For snows, you can go with 215/55-17 on 17x7.5, 47 or 48 offset, chosen for perfect fender clearance. 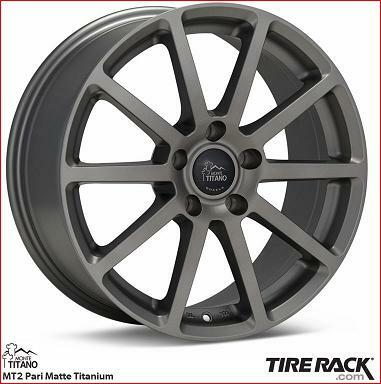 For comparison, OEM size is 225/50-17 on 17x7, 55 offset. You might want snow tires in the slightly narrower 215/55-17 size, and these fit great. Just make sure your offset is 47 or 48, NOT the original 55, to ensure they don't rub the outside fenders as smaller offset wheels may do. It actually raises the car up by about 1/4", and the tires look like they fit in there even better than the OEM tires/wheels. I don't believe this would matter, because it would be averaged out on a long trip. I talked to Garmin which they did say that GPS is alot more accurate than a automotive odometer. The support person said they do have info internally, but can't release it publicly. Maybe a legal thing. I see a difference between new tires and old on my Garmin nuvi 765T. LocationS.F. South Bay Area, Ca. 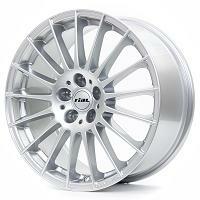 I really like this wheel www.hrewheels.com/wheels/forged, however at a cost $1500 per wheel it will never be found on Maxius. My Plasti-dip coating will have to do. Edited by mtb9153, 30 May 2016 - 07:12 PM.